Of the eight million RV households in America, representing six percent of the nation’s households, many are cultural tourists seeking greater familiarity with America’s heritage. Indeed, entertainment is now the primary purpose of RV travel. The Poteau River waterfront site adjacent to Fort Smith’s National Historic Park is an ideal location for another park function—an RV Park. 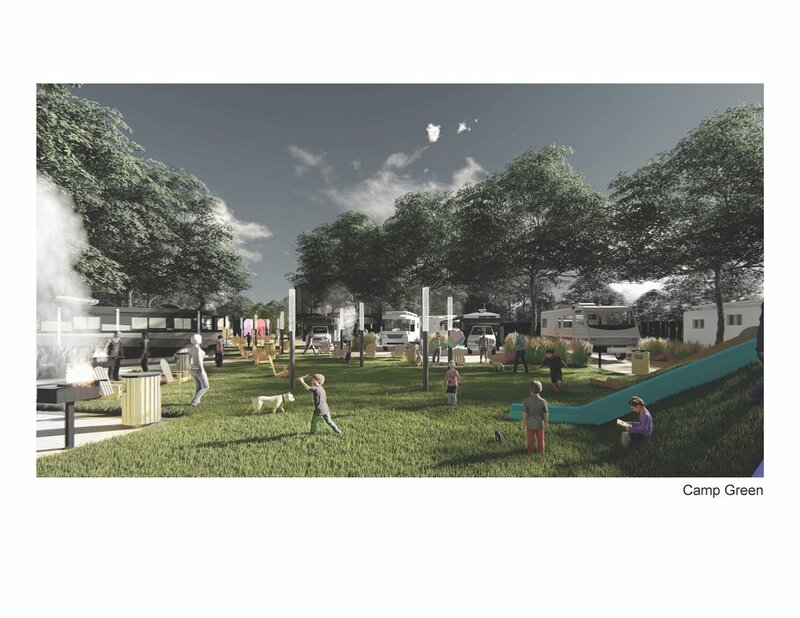 The RV Park is a value-added land use supportive of the cultural development aggregating along the city’s waterfront. The Park also protects the waterfront from further encroachment of industrial uses incompatible with the civic experience. The U.S. Marshals Museum scheduled opening in 2019 nearby certainly warrants more careful regulation of waterfront land use to effectively extend the downtown experience to its two rivers. The isolation of this small one-acre site by the railroad from contiguous development renders scaled residential and commercial development unfeasible. Both land uses only grow in value with the addition of self-similar development in neighborhood formats: retail likes retail, and housing likes additional housing. But the RV Park as part of an emergent heritage and entertainment ecosystem that is “city close and country quiet” makes sense. Finally, architecture should be an authentic expression of its time yet be compatible with its historic neighbors. 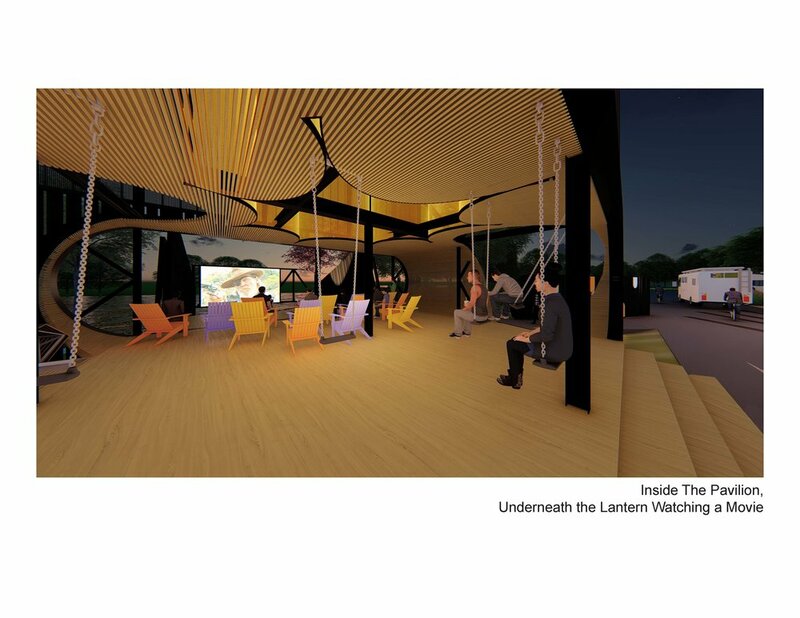 Proposed park structures celebrate the aerodynamic forms of contemporary motoring and recreational vehicles through their rounded forms, colors, and metallic mesh screens (atop the charred wood walls of the Pavilion). The “river” of railroad ties embedded in the pavement at the Entry Court celebrates sense of place while the Pavilion and Landing Room reconnect land and water through bridge-like structures. Charred wood structures brand the RV Park with a distinguished rustic modern appearance that is both traditional and memorable, establishing another signature set of social spaces along the downtown’s emerging waterfront.